MSC Bellissima is the second Meraviglia-generation mega-ship. Image courtesy of MSC Cruises SA. Steel-cutting ceremony for MSC Bellissima was conducted at STX France’s facility in Saint Nazaire, France. Image courtesy of MSC Cruises SA. MSC Bellissima’s sister ship MSC Meraviglia is expected to enter service in June 2017. Image courtesy of MSC Cruises SA. 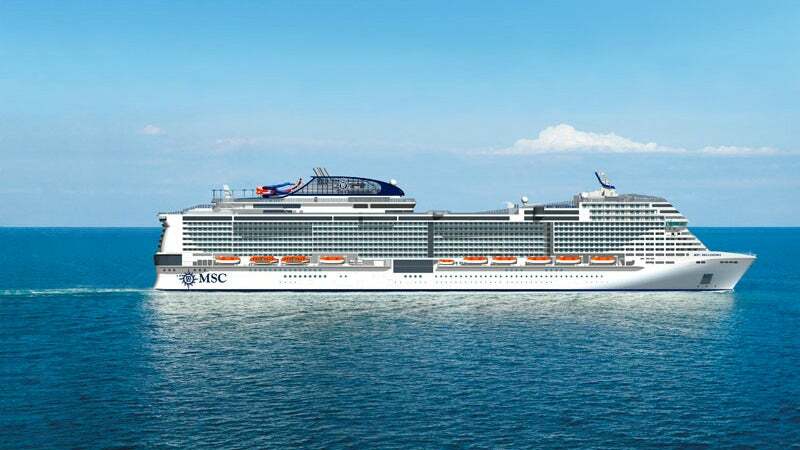 MSC Cruises’ MSC Bellissima is the second Meraviglia-generation ship being built by STX France at the company’s Saint Nazaire shipyard. Bellissima will be the biggest vessel in MSC Cruises’ fleet along with its sister ship MSC Meraviglia, which is expected to enter service in June 2017. The Meraviglia-generation ships are being built as part of MSC Cruises’ €9bn ($10bn) investment strategy to launch 11 new next-generation cruise ships by 2026. A steel-cutting ceremony for the MSC Bellissima ship was conducted on 30 November 2016. The vessel is expected to sail on its maiden voyage from Genoa, Italy, on 24 March 2019. With a gross tonnage of 167,600GRT, the cruise ship will comprise 2,250 cabins and accommodate more than 5,700 guests. The Meraviglia-generation cruise ships are being designed to improve passenger services by incorporating the latest technology and design features to meet the needs of guests of all ages. Designed to operate in all seasons, the Bellissima cruise ship will call at the popular ports of Genoa, Marseille, and Barcelona, along with popular Mediterranean destinations such as Naples, Messina in Sicily, and Valetta in Malta. MSC Bellissima features the highest ratio of sea-view balcony cabins of any cruise ship, as well as family options and duplex suites with a private whirlpool bath. The MSC Yacht club royal suite has a surface area of 65m² and a 40m² balcony. The interior rooms will measure 16m², whereas the ocean view rooms will be between 15m² and 18m², and the balcony rooms will be 19m². All MSC Yacht club cabins, including interior and deluxe suites, will offer either single or double-beds on request. The air-conditioned cabins will feature Wi-Fi, an interactive TV, a telephone, a safe, a refrigerator, and a Nespresso coffee machine. Family cabins are capable of accommodating up to ten people and will comprise two or more connecting cabins, each with attached bathrooms. The ship’s 96m, Mediterranean-style, two-deck indoor promenade will feature an 80m LED Sky screen. The promenade will act as the social hub of the ship with a range of shops and restaurants. A new digital innovation programme, MSC for Me, will be in operation on-board the ship, offering the latest technology to enhance passenger services at sea. With three twisting slides, a ‘Himalayan Bridge’ and a range of pools, the Polar Aquapark aboard the ship offers features and activities for all ages. MSC Bellissima will provide around 10m² of public space per guest, making it one of the best in the segment. The horizon pool provides more open-air deck space during the day, and can be transformed into an outdoor spot for dancing and entertainment at night. The ship will feature a high-tech TV studio and bar comprising a radio broadcast suite and a TV studio broadcasting live games, quizzes and talent contests. It also includes Sportplex, an amusement park where younger guests can play sports and games during the day, and attend parties in the evenings. Other facilities aboard the MSC Bellissima will include two Formula 1 virtual-reality racing cars with simulators and a full-size bowling alley, as well as a baby club for children aged up to three years, a mini and juniors club for children aged between three and 11, and exclusive clubs for teenagers. "MSC Cruises’ has entered an agreement with Cirque du Soleil, under which it will perform its shows exclusively on Meraviglia-generation ships." MSC Cruises’ has entered an agreement with Cirque du Soleil, under which it will perform its shows exclusively on Meraviglia-generation ships. Circus performers will conduct two shows six nights a week in the purpose-built Carousel Lounge. The guests will also be provided with an exclusive pre-show dinner service. The cruise will be equipped with STX France’s latest ECORIZON system, along with other next-generation environmental technologies. The ECORIZON technology helps to maintain air emission levels in line with the 2020 regulatory requirements. NTD Offshore is a shipbuilding company based in Denmark and an affiliate of Hays Maritime, with more than 30 years of experience in the maritime and offshore sectors. AEI is a US-based producer of communications systems for the hospitality and cruise line industries. HELKAMA is an experienced cable manufacturer and has been supplying cables for more than 30 years to all corners of the globe. HELKAMA specialises in the development, design and production of shipboard cables. In addition to these, we produce optical fibre cables for marine and land use and communication cables for land use.